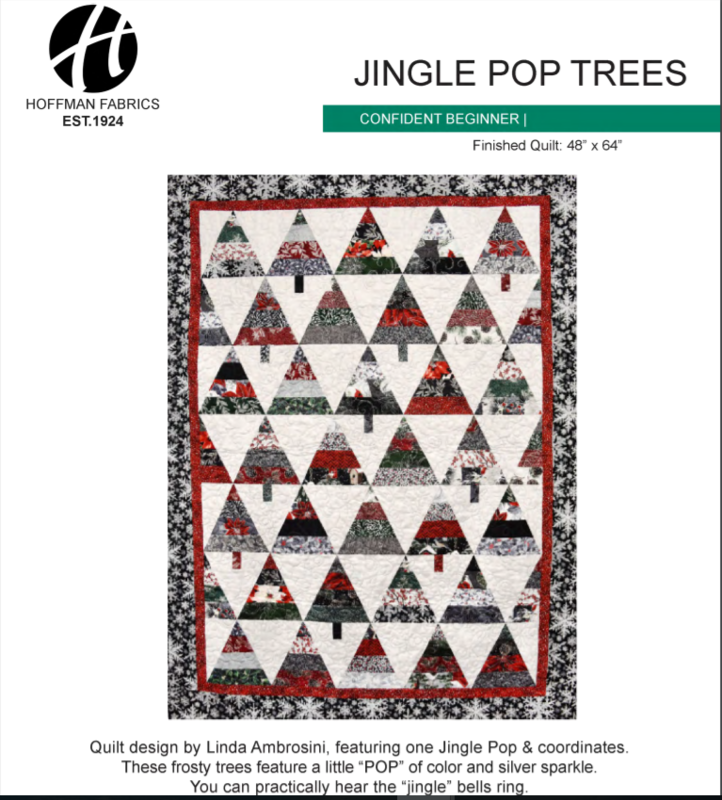 Free pattern for Jingle Pop Trees, courtesy of Hoffman Fabrics of California. 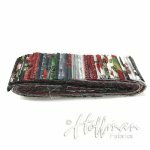 Quilt design by Linda Ambrosini featuring Hoffman Jingle Pops, a pack of metallic-accent seasonal screenprints laser-cut into 2-1/2-inch strips. Finished quilt is 48"x64"